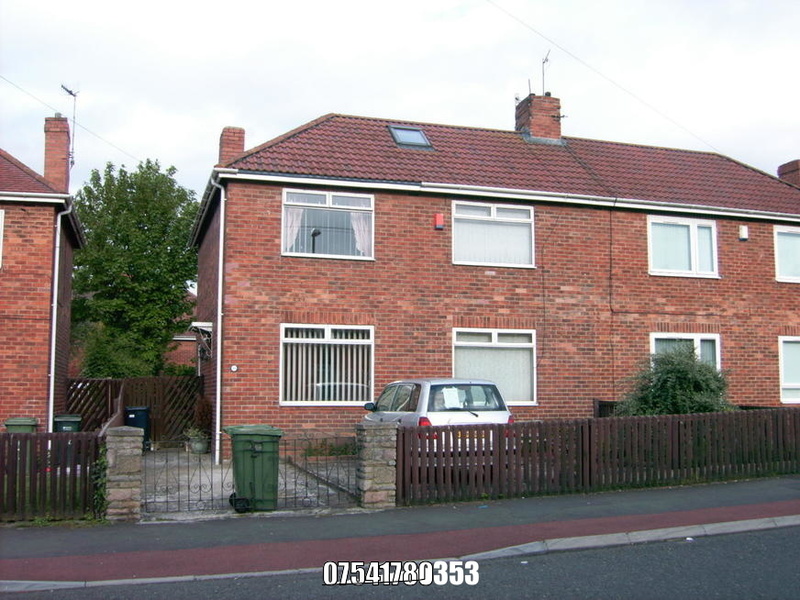 THREE TO FOUR BEDROOM SEMI DETACHED FREEHOLD HOUSE ON QUIET RESIDENTIAL ROAD NEAR GATESHEAD STADIUM. ORIGINALLY BUILT AS A 4 BEDROOM HOUSE WITH THE FOURTH BEDROOM ON THE GROUND FLOOR. THIS WAS OPENED UP TO CREATE A LARGE L SHAPED LOUNGE WITH AN ARCH BETWEEN. NOW THREE LARGE BEDROOMS AND THE LOFT IS SUITABLE FOR CONVERSION TO A FOURTH BEDROOM, STUDY OR GAMES ROOM. YOU COULD ALSO REINSTATE THE FOURTH BEDROOM ON THE GROUND FLOOR EASILY. THE PROPERTY HAD A NEW ROOF A FEW YEARS AGO AND HAS 2 NEW VELUX WINDOWS ALREADY INSTALLED. TOILET WITH WASH BASIN DOWNSTAIRS AND SEPARATE BATHROOM AND WC UPSTAIRS. BUILT IN WARDROBE IN MASTER BEDROOM AND WALK IN CUPBOARD AREA IN BACK BEDROOM. ALL BEDROOMS ARE SUITABLE FOR A DOUBLE OR KING SIZE BED AT LEAST. 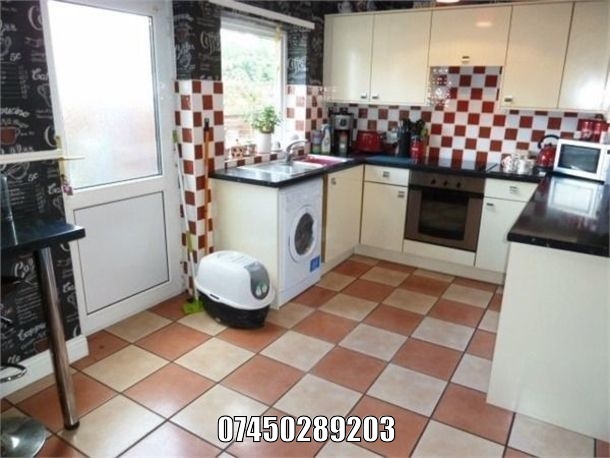 LARGE KITCHEN WITH ROOM FOR BREAKFAST BAR, ISLAND OR DINING TABLE ETC. LARGE LAWNED GARDEN TO REAR AND LARGE CONCRETED AND FLAGGED AREA AT FRONT WITH DRIVEWAY. SUITABLE FOR 2 CAR PARKING OFF DRIVE. FRONT FENCE HAS HIDDEN EXTRA GATE FOR SECOND CAR OR CARAVAN. ENTRANCE TO HOUSE IS AT THE SIDE AND THE STAIRS RUN UP THE MIDDLE OF THE BUILDING ONTO A SMALL LANDING. WINDOW ON LANDING. CARPETED THROUGHOUT BUT YOU MAY WANT TO RE-CARPET ALTHOUGH THEY ARE IN GOOD CONDITION. THE PROPERTY WILL NEED RE-DECORATING IN MOST ROOMS AND THE DOUBLE GLAZING IS DATED AND WILL NEED REPLACING AT SOME POINT. THE CENTRAL HEATING IS ALSO IN NEED OF AN UPDATE AS IT IS PROBABLY 1970'S. THE KITCHEN WILL NEED AND UPDATE AS WELL. THE PROPERTY WAS BUILT IN 1939 AND IS FORMER COUNCIL BUILT. GOOD ACCESS TO BUS SERVICES THAT RUN DOWN THE ROAD TO GATESHEAD CENTRE AND TOWARDS HEWORTH AND FELLING SQUARE. ASDA AND ALDI STORES WITHIN A FEW MINUTES WALK. NEWCASTLE 3 MINS. DRIVE. 2 METRO TRAIN STATIONS WITHIN 10 MINS WALK. MIXTURE OF FAMILIES AND COUPLES ALL WITH WELL KEPT GARDENS. NO PROBLEMS WITH CHILDREN OR NOISE. THIS IS BEING MARKETED WITH A V IEW TO SEEING IF THERE IS INTEREST IN THIS TYPE OF PROPERTY. THERE IS NO CHAIN INVOLVED AND CURRENTLY NO AGENT SO IT WOULD BE A PRIVATE SALE FOR CASH IF YOU WISH TO PROCEED. IF YOU WANT PHOTOS OF THE INSIDE PLEASE PHONE THE NUMBER, THANKYOU. I WILL PROBABLY BE POSTING OTHER PHOTOS SOON. I'm interested in 3 bedroom semi detached house EASTWOOD GARDENS, Felling.